Purchasing or modifying the right shipping container for your needs is as easy as 1-2-3! 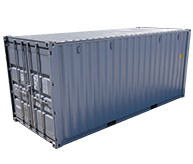 Interport sells both new and used shipping containers in a variety of sizes. 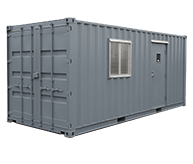 In addition to our standard dry shipping containers, we offer double-door, refrigerated, insulated, flatrack, and open-top containers. Interport can customize shipping containers to conform with any specifications. In addition to popular modifications such as office containers, doors and windows, and painting, we can custom-build your designs.